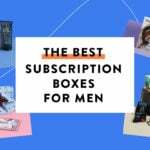 Our very good friends are expecting their first child in May, and I’ve been a little obsessed with getting them as many subscription box goodies as I can, so I signed up for a three-month subscription for this box when it was on sale at One Kings Lane. (That deal is no longer available). The Products: Quality products selected for mom and baby. Check out all of my A Little Bundle reviews! Bannor Toys wood teethers sanded satin smooth with soft curves, making them easy for baby to grasp. Safely soothe sore gums by allowing them to cool in the fridge first and promote early hand-eye coordination when little ones grasp them. Our wooden teething toys are naturally antibacterial, non-splintering, and non-toxic. We use responsibly harvested maple wood, and our teethers come with no applied oils or finishes. This pouch is pretty small (it measures 4″ X 5.5″). I love the black and white design mixed with the neon green zipper. (It also came with a 20% off coupon for any Moko & Co. order). This tee is size 3-6 months, and the cutest thing ever. One of our friends just had a baby last week, so I’ll be gifting this tee and the apple teether when we get to go see them. This is cute enough to frame and add to the baby gift – I might do that! I’m obsessed with this honey and vanilla scent! (And I love that it is made with all-natural ingredients). I found that this works equally well as a cuticle cream. This gloss goes on sheer, adds a hint of color and shimmer, and has no stickiness – I’m a fan! I also like the slightly minty flavor. I’m going to have to try more items from Live Beautifully now! Verdict: This box has a value of about $65. I’m happy with that value for the $49 a month cost, and I really appreciate the curation that goes into this box. Everything goes together well, and I think it would make a very thoughtful gift. What do you think of A Little Bundle?